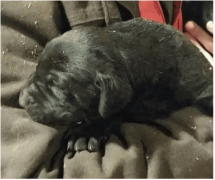 Our new litter of black lab puppies will be ready for homes come the end of January, 2019. 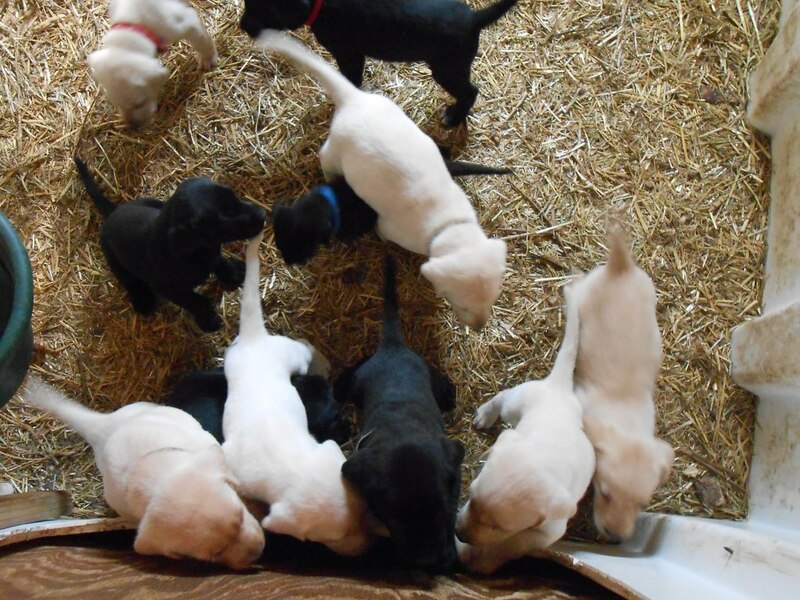 All of our dogs receive their first round of shots, are played with every day by our girls and are around other pets, farm animals and farm activity. You can expect a well-behaved, kid friendly and confident pet for your family. 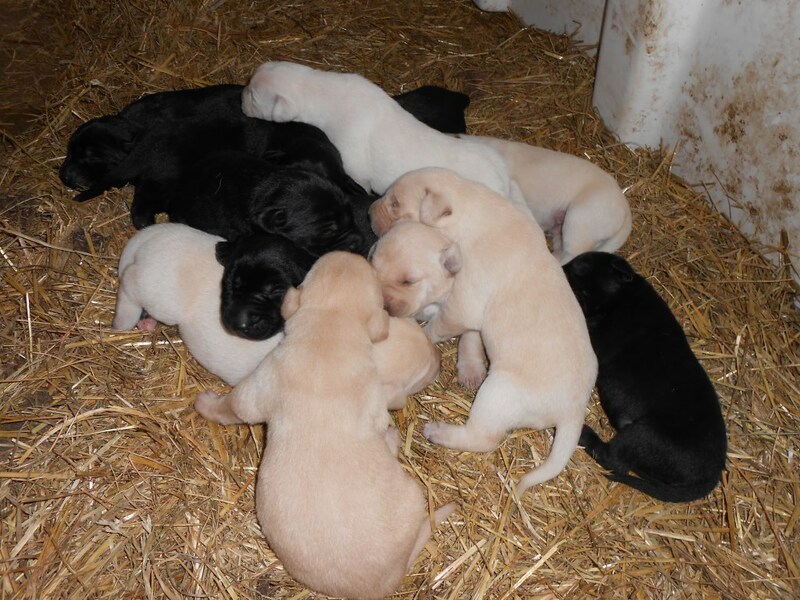 Our pure-bred lab puppies will be anywhere from 50-80 lbs (parents’ weight) and are priced at $650 for females and $600 for males. 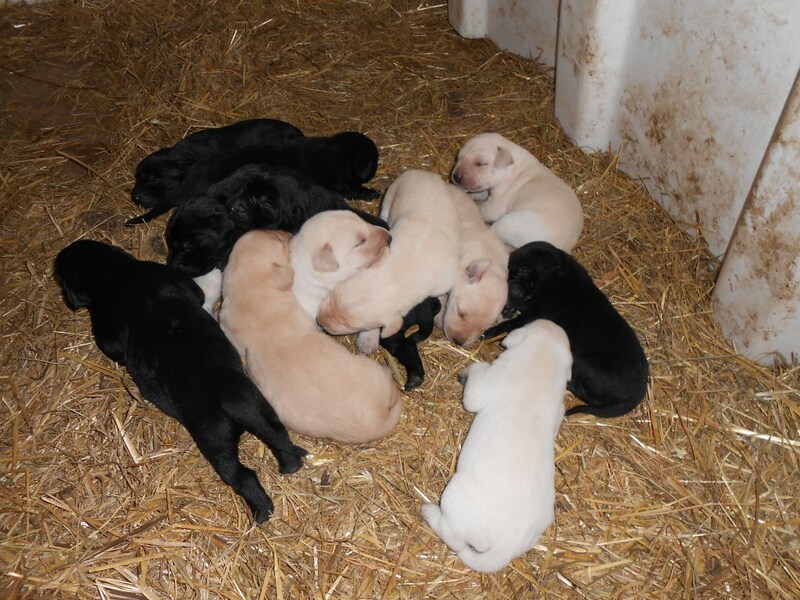 Please email or call us for additional information, or to set up a visit to meet your new puppy! 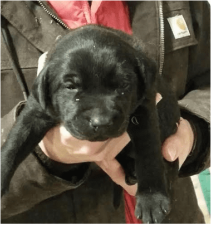 Our black lab puppies are born on our family farm in Central Minnesota and have exposure to a variety of experiences and social activity. Interaction with other dogs, animals, young children and adults ensure easy training and good behavior when they become part of your family. This socialization and interaction they encounter during their early days, allows them to become a wonderful pet and addition to your family. Easy to train, not shy or fearful, curious and well-behaved are the results of their environment. Pictures of mom and dad below. Hi name is Mike Jorgensen I recently bought a dog from the little boon farm. I started working with him right away with retrieving and house obedience and everything is going great. He learns fast he is already retrieving and listens well when telling him commands the dog has really good features as in the blocky head with the otter tail with strong muscles I'm pleased to say I am very happy with the dog. 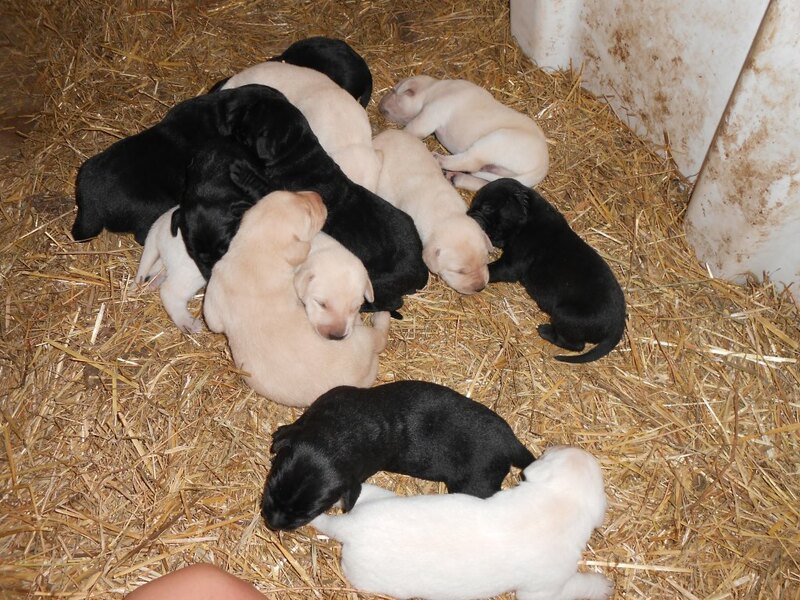 I would be happy with buying another dog from the little boon farm. 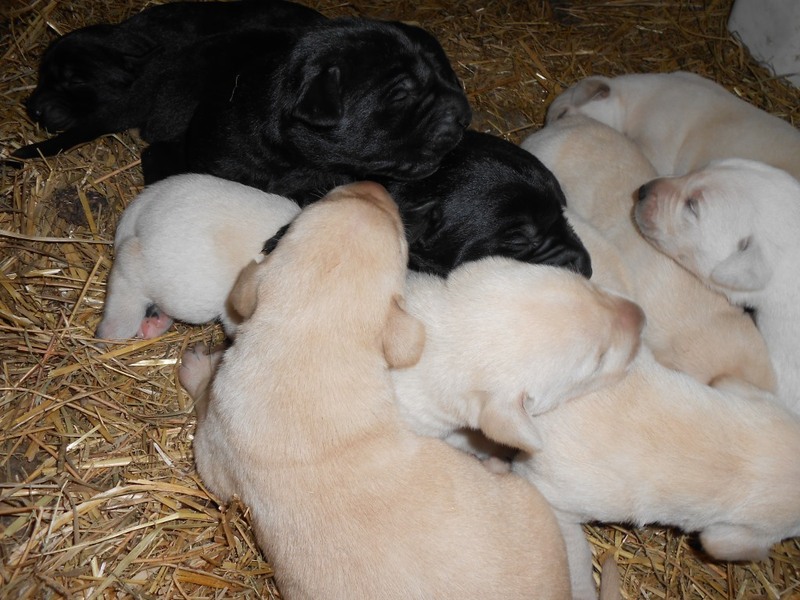 A puppy sold from Gidget's third litter. 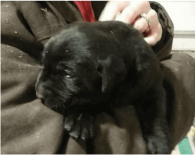 Wilsyn from Gidget's June 2015 litter. Wilsyn with her girls. What a happy family! 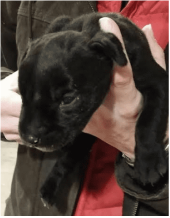 A puppy from Gidget's second litter.